Photo booths are fun to use when you're posing with friends, your significant other, or your family. What makes a photo booth even more fun is the use of props. Whether you make a theme out of it, have a random assortment, or just a few to change up the pictures, here are 4 of our favorite props you should consider. Pick some of the silliest, random hats to offer at your photo booth. It may be a fedora, a cowboy hat, party hats, or something you'd see at the Kentucky Derby. For some reason, partygoers find it hilarious when they put on a fake mustache. It could be big, small, or even one of the paper ones to hold up to your face. Frames for a wedding, birthday party, graduation, or bridal shower can allow guests to remember what the occasion was when looking back, and will also make it more memorable. These are easy to make and guests will definitely pick it up to use. There's something so mysterious and thrilling about putting on a pair of silly glasses or a masquerade-styled mask. Guests will have trouble deciding which ones they like best. 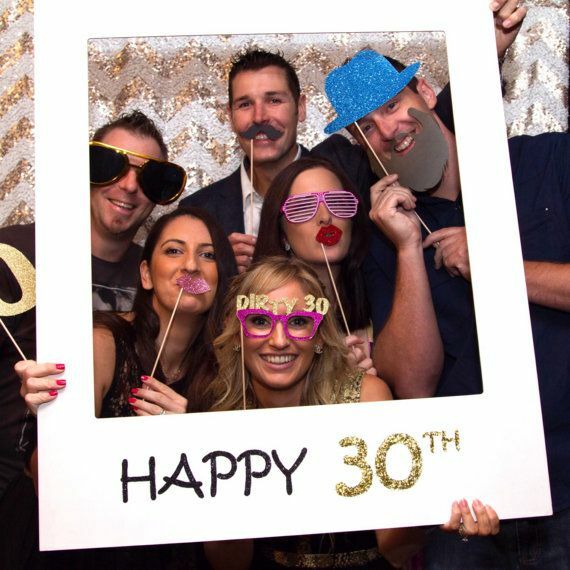 We've got plenty of props if you're considering a photo booth rental, but consider all the great things you could feature and what works the best with your event.